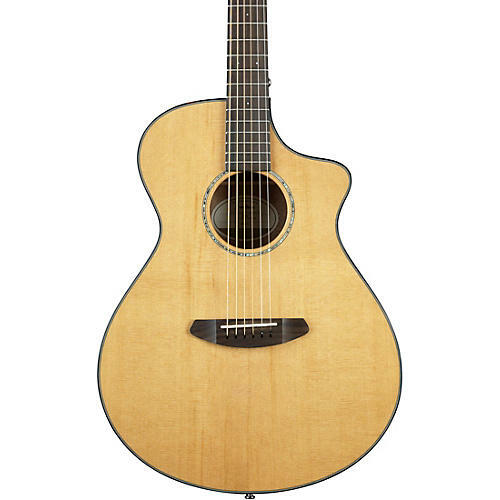 The Pursuit Concert Acoustic-Electric Guitar is one of Breedlove’s best-selling guitar. It sounds warm and beautiful with a solid red cedar top and mahogany back. The Breedlove Bridge Truss facilitates overtones enabling richer more complex sound. It is easy to play with a 1-11/16-inch radiused neck. It has premium LR Baggs EAS VC electronics. The cut-way body gives full access to all 20 frets. It is comfortable to hold and terrific to play. Includes a gig bag.